Carpet Rods: Tarnish-resistant RSF finish protects these rods from daily wear & tear. 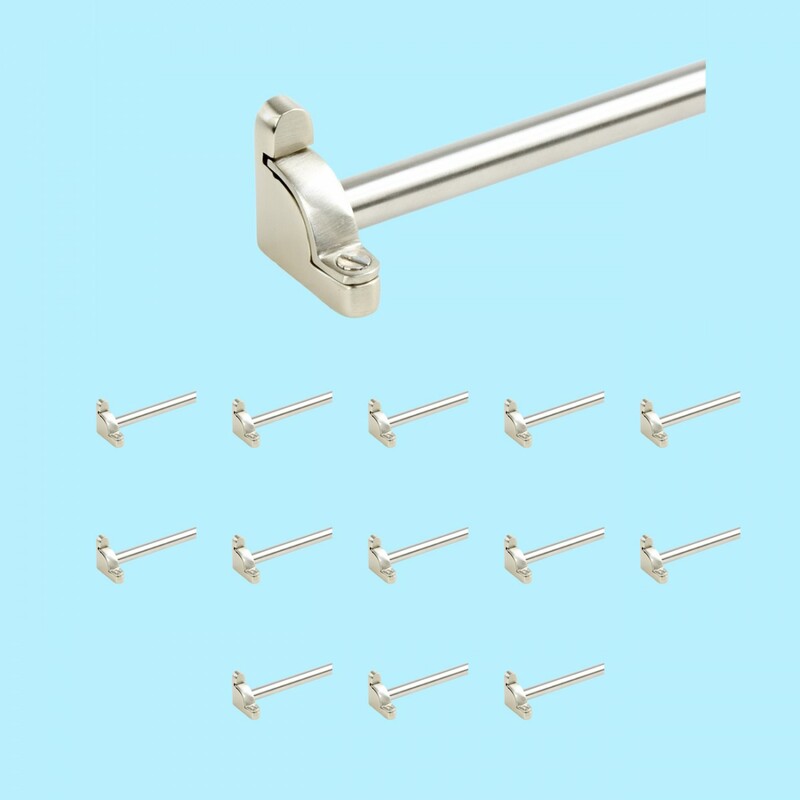 Brushed Nickel Finish over solid brass tubing these rods are ½ in. dia. & are 39 5/8" long & can easily be cut with a hacksaw to a needed length. It is recommended that stair rods be at least 1½ in. longer than the runner width allowing for ¼ in. space on either side between the runner & brackets. Carpet rods are decorative & cannot be the sole means to secure your carpet runner safely. 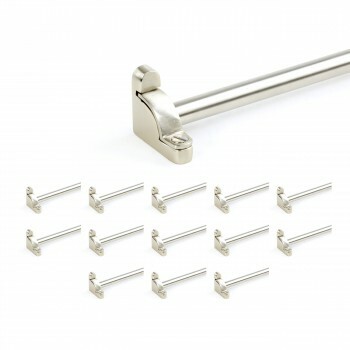 Includes 13 rods, 13 pairs of brackets & screws.